Propability, worked from original architect drawings to handle the secondary fit for the ground floor to the new Noble Collection store. 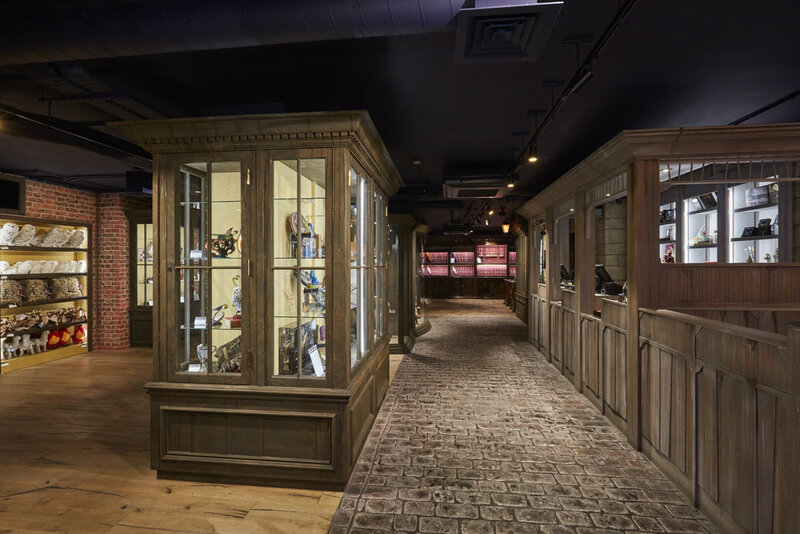 Crafted fixtures and fittings include: a London street themed area with brick-work walls, a castle interior with sand stone walls and specially created bespoke cabinets disguised as shop fronts. The floor was specially poured and themed according to each area with stamped cobbled paving, York stone paving and old-aged treated wood. A free standing old-fashioned Victorian street lamp as well as other wall mounted Victorian lamps create mood lighting in store and an additional dimension to the look and feel of the shopping experience. 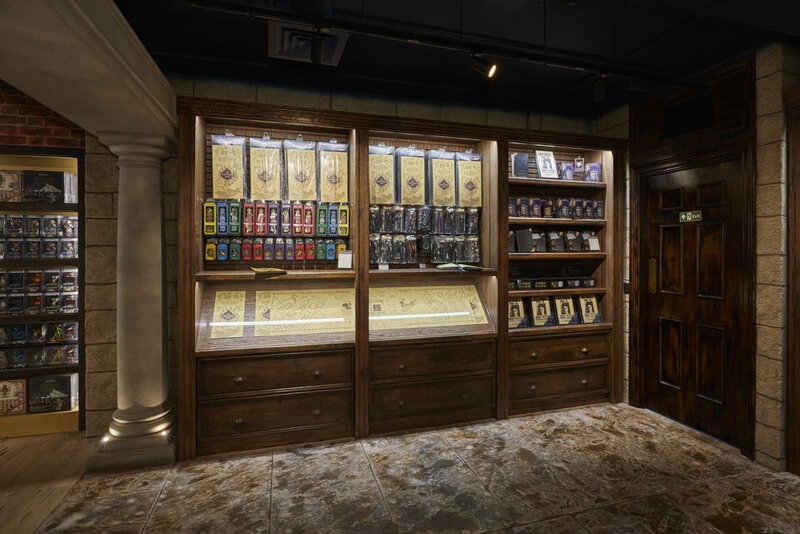 The crafted fixtures and fittings by Propability bring the immersive nature of the store together perfectly - displaying the official movie merchandise, props, collectables and other licensed treasures of the Noble Collection into a shopping experience that is truly out of this world.